Sally Hookey at Hinterland Feijoas. 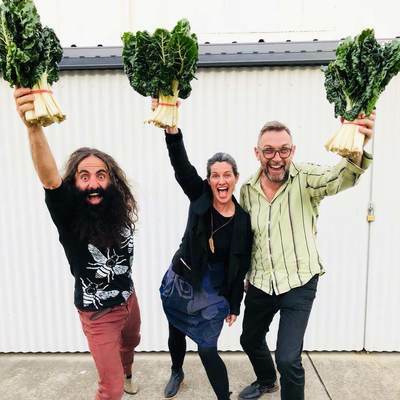 When Sunshine Coast farmers Sally Hookey and Peter Heineger of Hinterland Feijoas first entered the market about a decade ago it was through a partnership with Food Connect. The couple began growing the green-skinned South American fruit in 2007 because they loved eating them. Food Connect provides a distribution network for farmers and fosters relationships between farmers and their customers. And Hinterland Feijoas fitted their criteria that the producers they deal with must be small and ecologically focused. “We love farming and are committed to sustainable farming practices,” Sally said. But feijoas were virtually unknown and untried in the market when Sally and Peter began and they couldn’t sell their fruit through Brisbane markets. 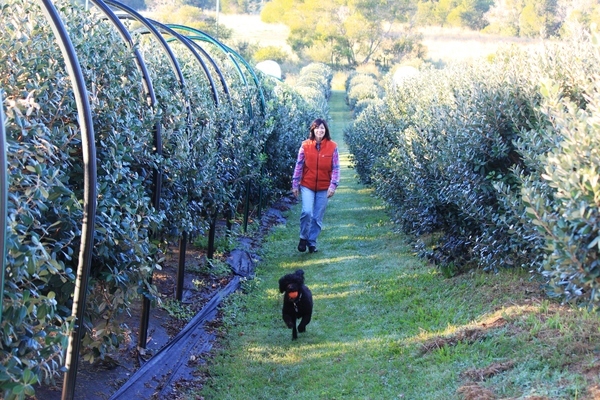 “Food Connect gave us a lot of confidence knowing we had somewhere to sell our fruit,” Sally said. Food Connect founder Robert Pekin, a former dairy farmer, is only too aware of the challenges faced by farmers. 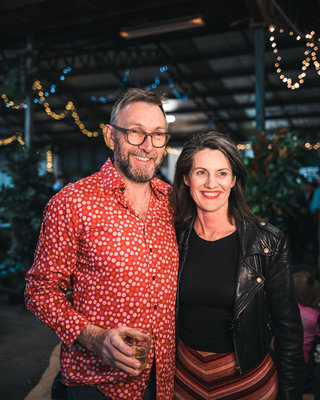 “It was after experiencing the hardship of working on the land himself, and eventually walking away from the family farm with $90,000 debt (in the 1990s), that led to Robert founding an ethically aware social enterprise that sought to rebuild the relationships between growers and consumers,” Rob’s partner and Food Connect general manager Emma-Kate Rose said. The enterprise is based on the principle of risk sharing, where regular online customers create a stable market for local farmers, enabling them to commit to ecological growing practices. Making connections are an important part of the enterprise and have even brought Emma-Kate and Rob together in business. Emma-Kate gave herself the title of General Happiness Manager in a bid to thumb her nose at corporate titles. Food Connect is changing the way farmers can sell their produce away from large supermarket chains and their model has attracted a growing number of producers on the Sunshine Coast in addition to Hinterland Feijoas. The enterprise has 80 farmers and 40 producers on its books and a waiting list of growers. Local produce is restricted to a 400km radius and only produce fresh in season is bought. Through Food Connect farmers are fighting back against the large chains which Emma-Kate said are ruining farmers through price pressures which are often below the cost of production. “Our vision is for a highly distributed network of ethical, local food hubs that are an intrinsic part of the communities they serve,” she said. It also provides an alternative outlet from local markets and farm gate sales for farmers while still being direct to customers. “Local markets are direct to customer, which is great,” Emma-Kate said. “However, for many farmers it’s very inconvenient, tiring and takes a whole day or more out of their working week. And when it rains…..?? Emma-Kate said farmers were ready for the change and limited only by their customer size, which has not yet caught up to meet the supply. “Most of the time our farmers are asking us to grow our market and provide more volumes,” she said. At present when they can’t sell all their produce they direct farmers to other buyers market opportunities. Food Connect has recently introduced a commercial kitchen to their enterprise allowing kitchen grade produce to be processed as value-added products, thereby reducing on-farm waste. More employment, lower carbon footprint with less travel time and fresher, chemical-free food are among the benefits to the community of close connections forged between farmers and consumers. Emma-Kate said food prices are about the same as at the supermarket but as customers order online there are no parking battles or temptations at the check out and pick up is organized from local delivery spots. 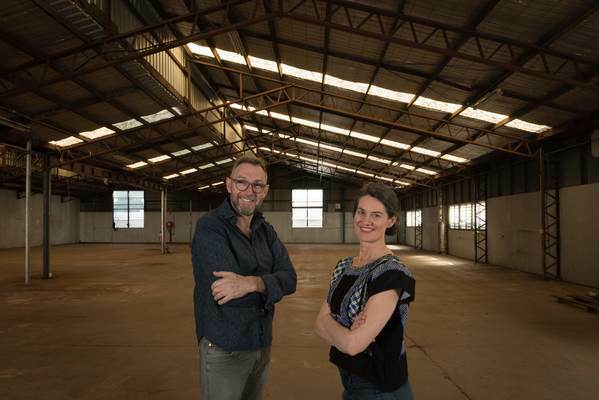 “Evolving as Australia’s first Local Food Hub, Food Connect Brisbane now services a growing wholesale market to buyers groups, restaurants, cafes, farmers market stall holders and cooperatives,” Emma-Kate said. Emma-Kate and Rob will be keynote speakers at the Women Initiating New Directions Organisation (WINDO Inc) breakfast networking event as part of their second International Women’s Week Festival being held in Noosa from 3-9 March.The festival celebrates, explores and advances the diversity, contribution and changing landscape of women and girls in the community. Its 2019 theme is ‘When Sleeping Women Wake Mountains Move’. 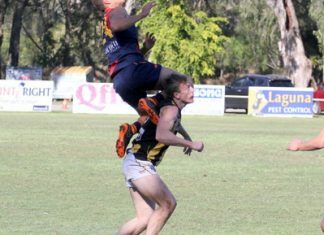 After full houses at the inaugural festival, the program has expanded this year to include nine events across three regions in seven days. Together, they will feature more than 100 speakers, performers and artists exploring positive cultural change towards women and girls through thought, leadership and the arts. The program includes a major community leadership conference in Noosa to discuss current issues affecting women and girls in society, a community variety show spectacular in Noosa celebrating women’s talents and stories, plus a series of artistic exhibitions.